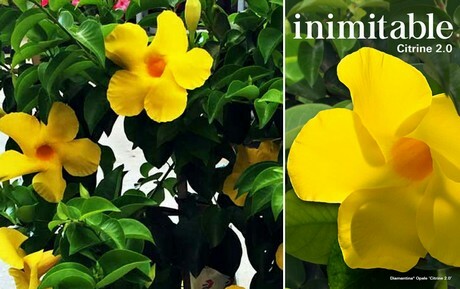 The traditional color of the dipladenia is red, but over the last years, the demand for different colors increased. Yellow, for example is a color that is expected to grow, explains Erick Ciraud of D.H.M. Innovation. Therefore, this French dipladenia breeding company is proud to announce the release of their new and improved Opale Citrine named Citrine 2.0. "When comparing this variety to the first version, it allows easier production under standard conditions - with better branching and higher vigor, has a larger flower size and a more golden yellow color." Erick Ciraud is very pleased with this improved variety as he sees the market for the yellow colored dipladenia growing. "When checking the 2017 statistics of the depladenia purchases in Germany, which is the largest plant market in Europe, one can see that the yellow dipladenia represents 8 percent of the total purchases. 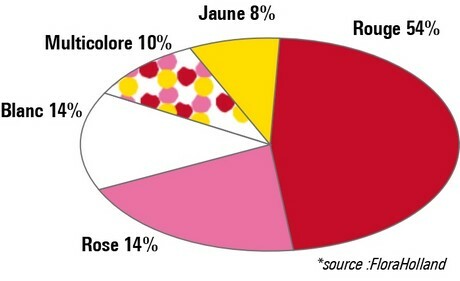 It is still a less popular color compared to red, pink, white and multicolored, but when looking at five years ago, for example, it increased sharply." All in all, the new improved variety offers benefits to the different links in the chain. "For the growers, the young plant production time is comparable to all other Diamantina dipladenia types (Jade, Opale, Topaze). On top of that, it has a higher blooming capacity and the better branching allows faster filling of the trellis bamboo support. For the retailers, this new color enables them to access or develop the yellow market segment and the improved habits enable a better plant presentation." And last, but not least, there are also several benefits for the consumer. "It is very floriferous from March until first frost (north hemisphere), the color does not fade under sun exposure, the shelf-life of the flower is better and it is not facing down." Interesting to learn more about this variety? This week, from January 22-25, the IPM Essen in Essen, Germany will be held and D.H.M.Innovation will be present with a booth in hall 2, booth 2B40.